This week on the podcast, we’re taking a look at orienteering, truth, and following the Lord! Join Andrew as he takes a look at John 14:6, and digs into the rich truths of Jesus being “the Way, the Truth, and the Life.” We’ll keep pressing on with our fitness challenge this month, take a look at our ScriptureFocus verse from Romans 12, and much more. That’s all on this episode of the Sharpening Character Podcast! 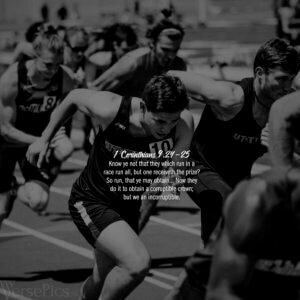 For the month of March, we’re switching gears a bit in our challenge and focusing on an aspect of the Christian life we sometimes neglect: fitness! Mark 12:30, the Greatest Commandment, calls us to “…love the Lord thy God with all thy heart, and with all thy soul, and with all thy mind, and with all thy strength: this is the first commandment.” It’s that fourth aspect we want to bring to the forefront as we continue seeking the Lord together this month! So here’s the challenge: Set a specific fitness-related goal and push to accomplish it by the end of the month. For this month, the goal is to focus on pushing ourselves–not for our own glory, but to prepare ourselves to be ready to accomplish what God may set before us. We also want to be sure we’re taking on the mindset of seeing our bodies as “the temple of the Holy Spirit” (1 Cor. 6:19), and using (and improving) the abilities God has given us for His glory. Let’s push each other onward in our walk with the Lord as we examine what God’s Word has to say about fitness (a lot! ), learn from it, and grow closer to Him this month!